Whether you’re a social media manager, blogger or just a Twitter-addict, HootSuite mobile apps are a great way to stay connected to your work and interests. To give you the most value out of our mobile apps, we’ve compiled a list (below) of just some of the valuable things you can do with HootSuite on your iOS or Android device. 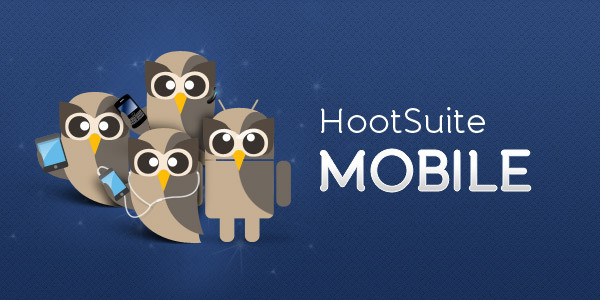 Scheduling messages, monitoring hashtags and keywords, tracking click stats, managing social profiles – HootSuite mobile apps really put the power of the dashboard in your pocket. This week the list of mobile features grew even more with the addition of Push Notifications, updated interfaces and AutoSchedule – a feature that allows you to automate posting times. With this wave of features rolling out, we thought it’d be a great time to share some tips and mobile features you might have missed. Don’t forget to rate the app after you try it and let us know what you think by chiming in on our mobile Feedback Channel. Need to quickly share an interesting article, video or link from your phone? It can be a hassle copying, pasting and switching apps. Learn how you can add link to social media messages with a unique Safari tie-in. Especially handy for bloggers and social media managers, HootSuite makes it easy to see how many clicks your last Tweet got. Someone Tweeting about you or your company in a different language? Just reach for your iPhone. With just a few clicks you can easily translate to-and-from 50+ languages. Whether he’s at his desk, on the seabus for his daily commute or attending SXSW, HootSuite VP Community, Dave Olson, needs to know what’s happening on the Twitters. Using his trusty iPhone, Dave can stay connected to the HootSuite community, reach out to new users and monitor the conversations that matter to him.